The GTF-P series water heaters are identified by the EN 483 European standard as: gas fired hot water heater with sealed combustion chamber and atmospheric burner equipped with fan in the combustion circuit. This equipment belongs to category II2H3+, which means that they can use second family gases (natural gases, H-gas) and third family gases (liquid gases, butane and propane). 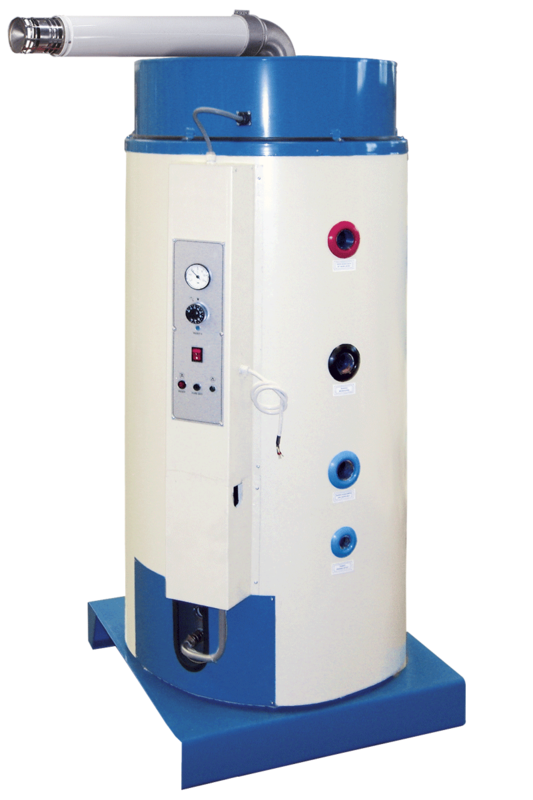 The GTF-P series water heaters are classified according to the system they use to take in the air and to discharge the fumes: type C13, C23 and C53 (European standard EN 483). Fitted with a more powerful burner than the GTF model, they provide a higher amount of water in a shorter time. Burner with electronic ignition and flame ionisation detector. Made of STAINLESS steel to ensure a higher resistance to corrosion caused by condensation. Fill in the form below to be e-mailed the GTF-P WATER HEATER technical data sheet. Thank you.